I read his Null-A Continuum, the final novel in the A,E. van Vogt Null-A series, and it was highly entertaining, but extremely technical and a bit too long for my taste. Where van Vogt's main character could teleport (he has two minds), in this one he can teleport who galaxies through space and time. A good read, though. Most modern SF and fantasy novels are too long for my taste, even the ones by authors whose work I enjoy. I tend to look for novellas by them, many of which are long enough they could have been published as Ace Doubles back in the Fifties and Sixties. 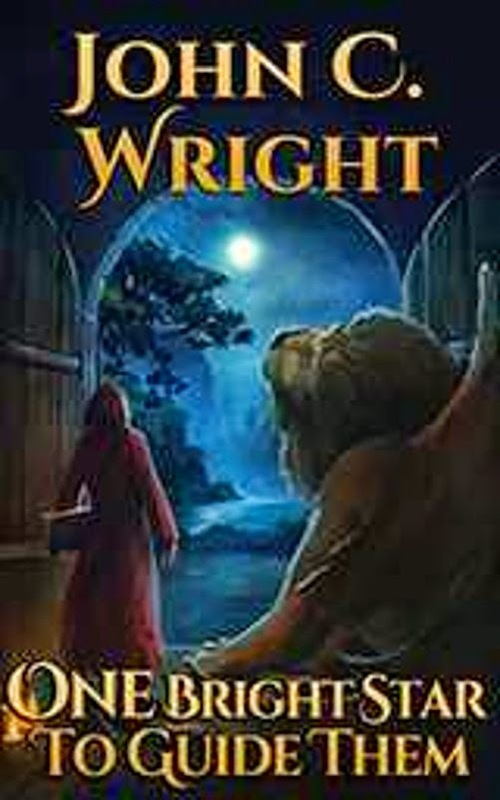 I started reading Wright last year, also at shorter lengths, and absolutely love everything I've seen by him, especially his time travel stories. Not gotten to his novels yet, but they are in the TBR stack. Don't know if there's a causal relationship, but Wright was going pretty strongly as a Golden Age sf novelist reborn, til he came out as anti-gay. Hasn't hurt Orson Scott Card that much, far as I know. After reading your review I bought a copy of One Bright Star and I just finished reading it. It was beautiful, not an easy story, absolutely engrossing. Wright has something special here. A quick search for Wright's views on homosexuality brings up any number of damning direct quotes. Unlike yourself, at least he's honest in his in his views.